As I’ve grown to truly value the close friendships I have, I’ve learned that a special note sent during a tough time can speak volumes. 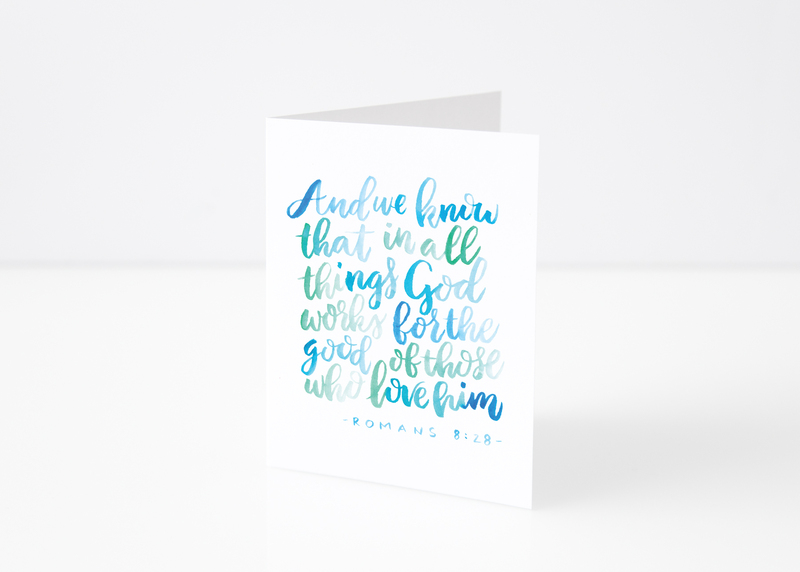 This encouraging Bible verse will bring comfort and peace, and by lettering this in lovely blue and turquoise, it’s my hope that the recipient would be able to hold onto this card and hang it in a special place as a reminder of God’s love. 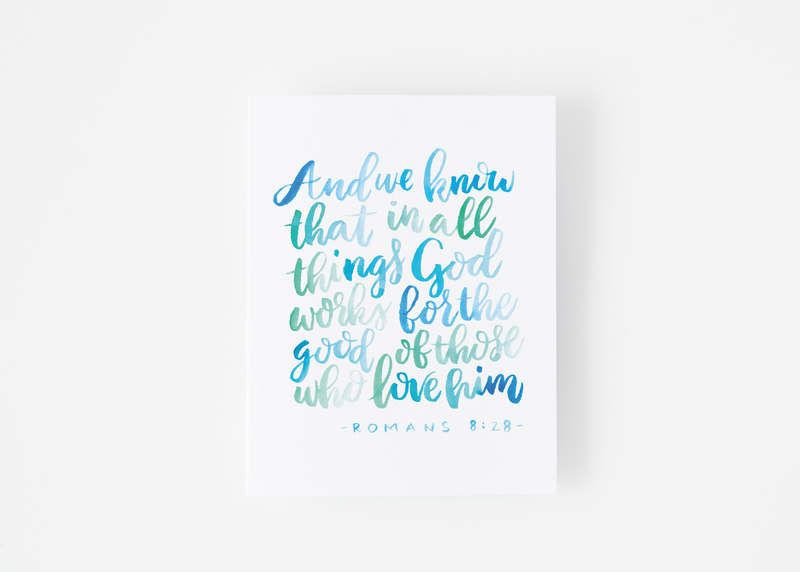 Romans 8:28 reminds us that God loves us through all circumstances. These cards are sold individually, and are high quality folded A2 (4.25×5.5″) cards. They will arrive with pale gray euro-flap envelopes. The inside is white and blank.